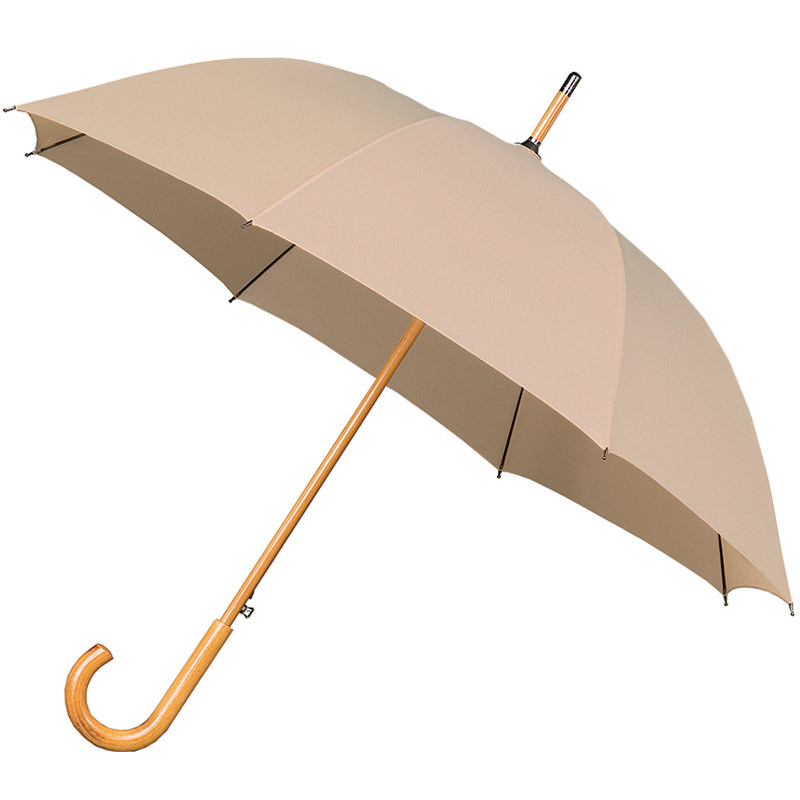 If you’re looking for a beige walking style umbrella then take a look at our Warwick Beige Windproof umbrella. Beige is a much understated colour, don’t you think? Kind of natural. A neutral colour. Great for weddings. It was a popular colour choice back in the 1970’s when it was often used to contrast browns. 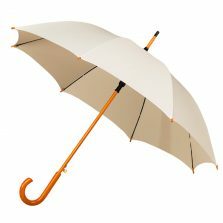 The Warwick Beige Walking Style umbrella works well with most outfits and is suitable for men and women alike. The Warwick is a stylish, classic looking wooden shafted umbrella with a polished wood crook handle. Somewhat traditional in appearance, as umbrellas go. At the tip the smart pewter coloured metal ferrule protects the end of the umbrella shaft. Moreover, it matches the push button auto-release and the rounded spoke tips. Beige Walking Style Umbrella with hidden strength! 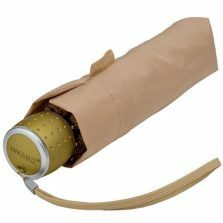 What’s more, our Warwick Beige Windproof Umbrella also sports a powerful automatic opening mechanism. It has an innovative spring tension wind resistance system. You need to take care when you unleash it. It’s easily capable of knocking over a poorly positioned pint. WHOOSH!! The strong yet light fibreglass spokes are married to a sturdy steel sub-frame. Eight individual springs connect to a clever cantilever system for increased flexibility and wind resilience. 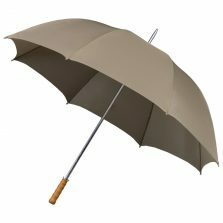 The canopy is “polypongee”, a tightly woven form of polyester – one of the better fabrics used in the umbrella industry. The width of the canopy is approximately 105 cm and overall length from handle to tip is around 89 cm (35″). Weighing in at about 440 g the Warwick is available in a choice of colours. Warwick Windproof Walking Umbrellas are equally stylish and practical for both ladies and gentlemen. 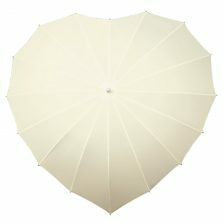 Beige Umbrella As Seen on TV! The Umbrella is of excellent quality and it was delivered the following day, I was very impressed.